In leaked AI benchmarks, the upcoming Qualcomm Snapdragon 8150 SoC managed to score the highest among all other SoCs featured in Android phones. The Snapdragon 8150 scored 22,082 points with the Mediatek Helio P80 coming in a close second at 19,453 points. The results show Qualcomm's renewed focus on AI will put it firmly ahead of competitors in 2019. Qualcomm's upcoming flagship SoC, the Snapdragon 8150, could enable some cool AI chops in 2019's flagship Android smartphones — at least that's what leaked benchmarks say. 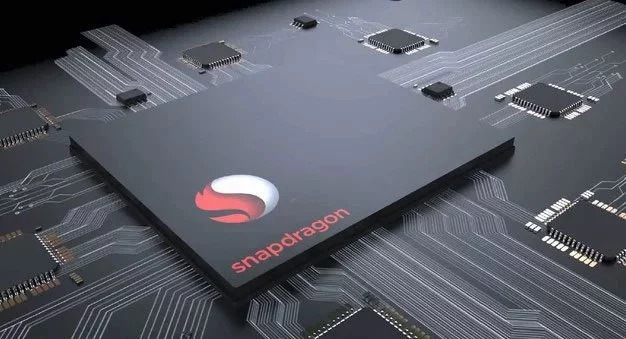 The Snapdragon 8150 Dev Platform along with other present and upcoming flagship SoCs such as the MediaTek Helio P80 and the HiSilicon Kirin 980 were featured in the AI Benchmarks test suite and Qualcomm's offering managed to top the charts by a comfortable margin. The AI Benchmarks suite consists of 9 computer vision AI tasks performed by 9 individual neural networks currently available on smartphones. These tasks include Object Recognition and Classification, Facial Recognition, Image Deblurring, Image Super-Resolution, Semantic Image Segmentation, and Photo Enhancement. The Snapdragon 8150 scored 22,082 points with the Helio P80 Dev Platform coming in second at 19,463 points. Interestingly, the OnePlus 6 that features a Snapdragon 845 managed to outsmart the Kirin 980 in the Huawei Mate 20 Pro. However, other Snapdragon 845-powered phones such as the Asus ZenFone 5Z and the Google Pixel 3 XL trailed behind most Kirin 970 offerings followed by the Exynos 9810-powered Samsung Galaxy Note 9 and Galaxy S9 Plus. These scores seem somewhat unusual, though. Huawei claims that the Kirin 980 offers a 2x AI performance improvement over the Kirin 970 but we see only a 15% advantage according to these tests. Also, we are not quite sure how the OnePlus 6 managed to beat the Mate 20 Pro and the Pixel 3 XL. The Pixel 3 XL has a dedicated Pixel Visual Core for AI processing so its comparatively lower scores seem somewhat unusual. However, it is refreshing to see a MediaTek SoC at a close number 2. This could mean upper mid-range phones powered by the Helio P80 will also be able to reap the benefits of fast AI processing just like their Snapdragon counterparts. These benchmarks do not tell us the entire picture but serve to indicate the kind of performance to expect in upcoming Android flagships. Also, note that the Snapdragon 8150 and Helio P80 are running on development platforms. The final products they go into will be a whole lot slimmer and run final code, which might throw up much different results. Still, given the high lead managed by the Snapdragon 8150 and its recent AnTuTu records, it would be safe to assume that a similar performance will be reflected in the final product as well.